My latest New Scientist article is about the new era of discovery about to begin at the CERN lab, near Geneva. Particle physics used to be the glamorous far west of science. It was The Big Science long before people had even heard of the Human Genome Project. For decades during the last century, particle physicists were peeling back one layer of reality after another and making huge breakthroughs in understanding the building blocks of matter and the fundamental forces of nature. But for the last two decades or so, nature has frustrated most of physicists’ efforts at answering the remaining questions of fundamental physics. Experiments have found no fundamentally new particles since the “top” quark — the last in the expected family of six quarks — was discovered in 1995. Moreover, for all the brain power theorists have put into creating fancy new ideas such as string theory, trying to probe nature at an even deeper level, virtually all phenomena observed in the last 30 years have been in good agreement with the predictions of a theory called the standard model of particle physics. Having picked the low-lying fruits early on, physicists were left trying to squeeze more information out of the data coming from their atom smashers and astronomical observatories. Interesting phenomena happened very rarely, so physicists had to be extremely careful to avoid being fooled by statistical flukes, quantum fluctuations, or measurement errors. “They got used to trying to extract blood out of stone,” Harvard theoretical physicist Nima Arkani-Hamed told me in a recent phone call. For example, physicists discovered the top quark by collecting just about 30 of them in a three-year-long experiment. But the long wait could soon be over, as CERN’s long-awaited new megacollider starts up next year and goes into full swing by spring 2008. The new machine, called the Large Hadron Collider, or LHC, will produce data equivalent to the content of one CD-ROM per second, and will probe energies no one has toyed with before. Lots of new physics could be hidden in the data, and the problem will be to find it in there. So when it rains, it pours. As I describe in New Scientist, some physicists now say that understanding the new physics will take an altogether new approach, and that computers will start having an important role not only in crunching data, but also in making sense of them. If so, the race to discover new physics could one day become a race of human versus machine. 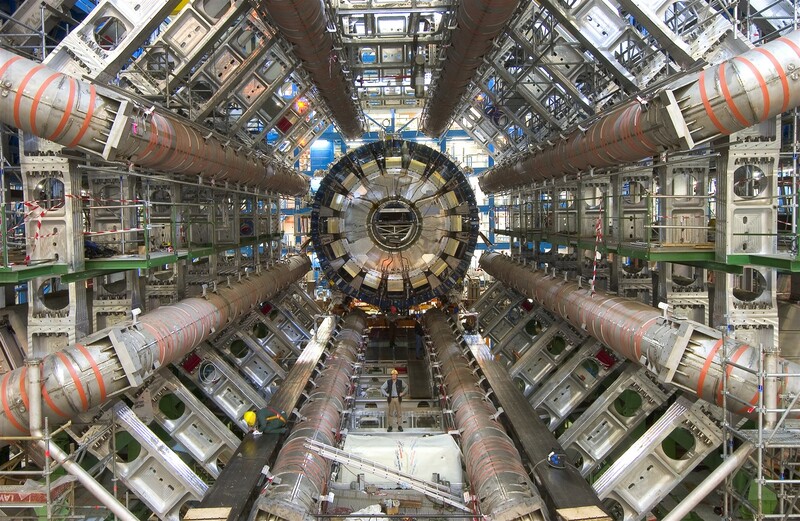 Perhaps a bit hubristically, CERN has described the LHC as a “discovery machine,” meaning that physicists will use it to churn out new discoveries one after another. We all hope that turns out to be true. meanwhile, the very expression “discovery machine” could soon start to get an altogether different meaning.